Every video production project is unique and requirements can be either more or less for your project. However, this is a description to help you understand the process for a typical scripted video and the three phases of video production that typically take place. 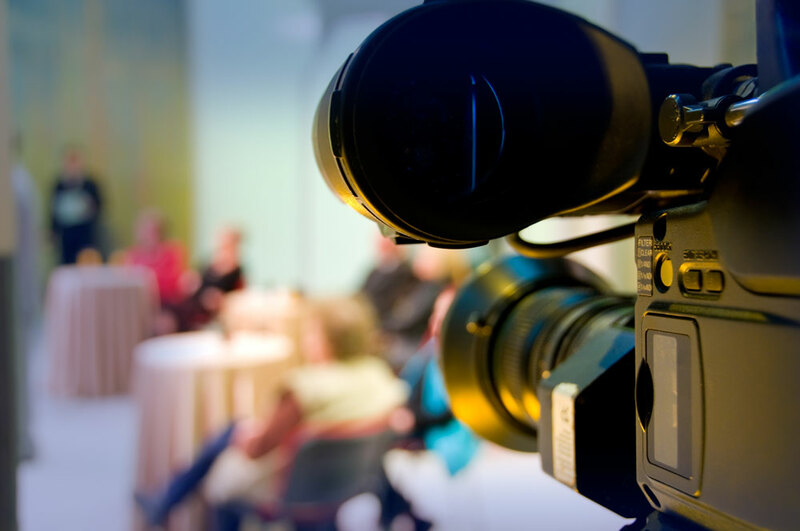 The video process starts with a “Pre-Production” phase where in meetings with your organization and us, everyone will decide and agree on what your message is and what you want your audience to do after they see it. From there a script is built which includes a description of the shots, required graphics, animations, narrative or dialogue and music. We will scout the locations where shooting is planned and determine such things as if it is too noisy, when is the sun in the right place and other issues such as lighting needs that must be included in the plan. If actors or your people on camera are needed, we’ll work on casting and selection. During this stage a schedule for shooting will be developed. On the actual shoot, the “Production” phase, we’ll have someone responsible for camera operation, lighting, sound, make-up and directing the action while being certain the planned scenes transition properly (continuity). Someone also may be logging (keeping track) of which recorded shots are the ones that will be used and monitoring the script to be certain every required shot is accomplished. If actions, even something that seems as simple as moving a lever, must be videotaped, there may be numerous takes till the proper shot and timing is accomplished. During this phase there are many options you can choose including teleprompters, make-up technicians, jibs, dollies and specialized lighting. Once the videotaping is completed, the project enters what is called “Post-Production”. This is the editing phase and today this is done on computers with lots of hard drive storage. The selected takes are digitized, trimmed, and arranged on a timeline in editing software. Animations, transitions between shots, graphics, voiceovers, music and all the other required pieces are created, added, timed, paced and manipulated in the computer. If a voice-over (VO) for narration is done, it will typically be in a sound booth or sound studio with the voice timed to the action in the script. It is also in this phase where the finished video can be encoded into a format where it can be viewed on the web and possibly streamed. For even a short three-minute video, between planning, shooting and editing, it can take many man-hours. These are all things we do helping you to understand and provide your input on the process every step of the way. So that you get what you need, we will rely on you to input on the projects objectives, provide information on your company, schedule your people, who may be in the video, and setup logistics if video will be shot on your facilities. As the project progresses you’ll also provide ongoing input and review the progress. In any project like this “Your Vision Becomes Our Vision” and we share the ownership and commitment to success that you have.